You are buying the Mabis DMI Wheelchair Back Pack which is manufactured by Mabis DMI. Mabis is a leading manufacturer of Wheelchair Accessories. At ADW Diabetes, we do our best to offer the complete product line by Mabis with excellent pricing and fast shipping. 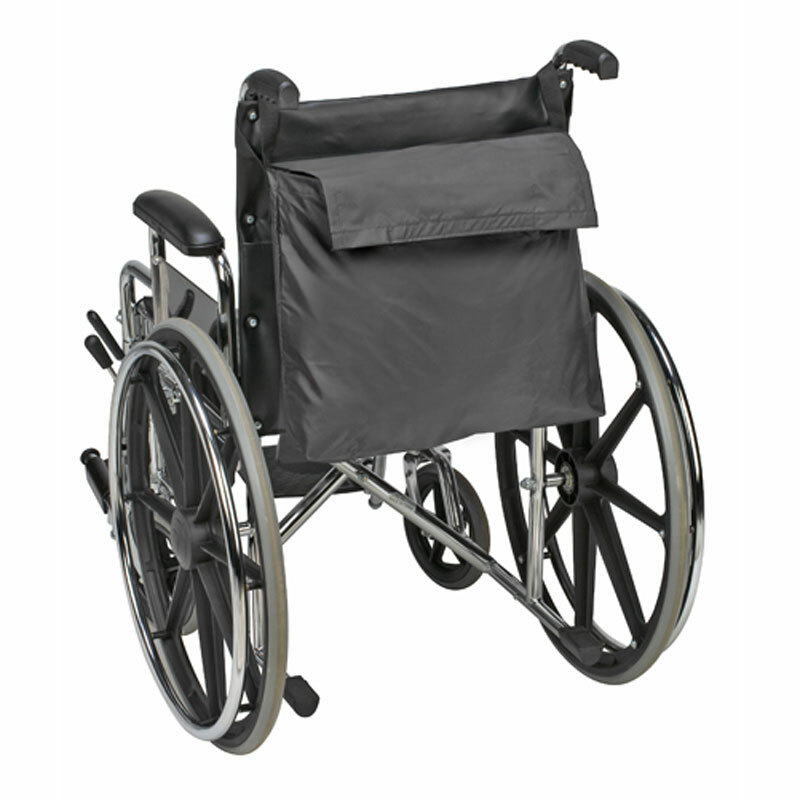 Wheelchair back pack attaches to wheelchair with ease by placing loops over wheelchair arms. Constructed of black, oxford nylon, waterproof fabric. Features a large 14" x 19" compartment with hook and loop closure. Completely washable.